Featuring a lightweight carbon-fiber skeleton and folding into a book-shaped companion, this drone from Zero Zero Robotics can follow the user around like a tethered tripod, filming steadily during mobile first-person shoots. 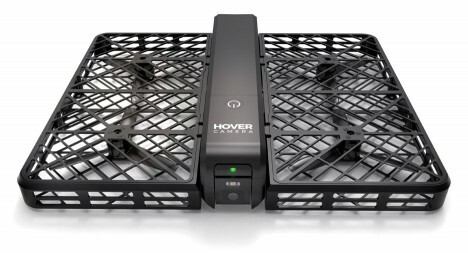 The Hover Camera uses a mobile app that lets the user set height, distance and direction as needed, but the tracking software also automates the process when desired. Four propellers and compensating technology help the device stay aloft and precisely positioned even outdoors in windy conditions. 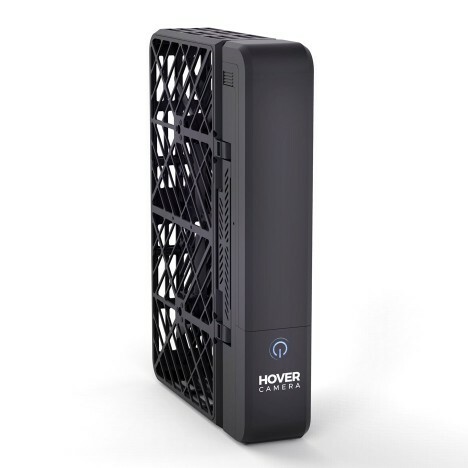 Its incredibly light weight (less than 250 grams) lets the device skirt FDA regulations pertaining to larger drone use as well. 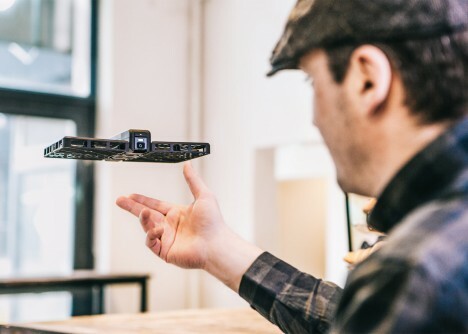 “We want to combine radical AI technology and small flying robotics to create products that empower people to enhance their livelihood, and Hover Camera is a very exciting first step towards accomplishing our larger mission,” said the company’s CEO Meng Qiu Wang, a former Twitter software engineer who co-founded the company in 2014. See more in Robotics or under Technology. June, 2016.